What are the potential challenges to the integration of women into SOF for unit cohesion? What analytical support is necessary to validate SOF occupational standards for USSOCOM-controlled positions? The elimination of the Direct Ground Combat Definition and Assignment Rule has opened to women some 15,500 special operations forces (SOF) positions. A RAND study helped to inform that decision and provides insight into the key factors surrounding the integration of women into SOF. The integration of women raises issues pertinent to the effectiveness of SOF teams, in terms of physical standards and ensuring readiness, cohesion, and morale. This report assesses potential challenges to the integration of women into SOF for unit cohesion and provides analytical support in validating SOF occupational standards for positions controlled by U.S. Special Operations Command. 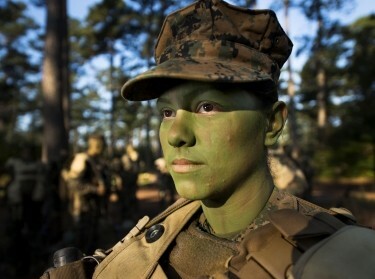 The report summarizes the history of integration of women into the U.S. armed forces, reviews the current state of knowledge about cohesion in small units, and discusses the application of gender-neutral standards to SOF. The report identifies widely agreed-on professional standards for the validation of physically demanding occupations and assists SOF service components with the application of these standards to SOF occupations. The report also discusses the primary data — a survey of SOF personnel and a series of focus group discussions — collected by the research team regarding the potential challenges to the integration of women into SOF. The report then presents recommendations regarding the implementation process of integrating women into SOF. Overall, 85 percent of survey participants opposed letting women into their specialties, and 71 percent opposed women in their units. Although opposition exists across all services, elements, specialties, and rank groups, SEALs, Air Force Special Operations Command Special Tactics Team members, and noncommissioned officers appeared most strongly opposed. The dominant perspective across the focus groups was that women should not be integrated into SOF units and specialties, with potential impact on mission effectiveness and the continued ability to function as a highly performing team central to participants' concerns. Many SOF personnel were concerned that standards would fall. Many SOF personnel were concerned that integrating women into SOF units would erode unit cohesion. Many SOF personnel were concerned that integrating women into SOF units would reduce the availability of leaders to resolve conflict between unit members. About four in ten survey respondents agreed that women might be helpful in conducting sensitive operations and communicating with local populations. There is higher support, based on mission requirements, for attaching women in other specialties to SOF units, and higher support for opening SOF units to women, than there is support for opening currently closed SOF specialties to women. Leadership is key to integration success. Leadership should monitor command climate issues, such as the tone set during the integration process, and enforce good order and discipline to prevent issues of misconduct that can have a negative impact on cohesion. Leadership can also put in place policies to quickly identify problems that might arise during implementation. The implementation process is critical to long-term success. To ensure long-term viability, USSOCOM will need to put in place practices to promote the successful integration of qualified women. Valid, gender-neutral standards can facilitate integration. These concerns regarding mission effectiveness can be addressed by establishing and validating gender-neutral standards and implementing training programs that prepare female candidates to meet those standards. Targeted recruitment and the adequate preparation of female candidates are needed. Providing female candidates adequate preparation to meet gender-neutral standards could go a long way in enabling women to earn the respect and trust of their SOF teammates. A deliberate pace of integration is important. USSOCOM might need to consider a phased integration approach. Such an approach would allow USSOCOM to monitor the integration process and make adjustments as needed. Integration progress needs to be monitored and assessed over time. Monitoring and assessment will allow for quickly identifying problems and addressing them in a timely fashion. Expectation management is a critical component of success. The anxiety felt by SOF personnel about a large influx of women in a short period and a consequent altering of intra-unit dynamics might be unfounded. The process may be gradual and a change might come over a generation. Agnes Gereben Schaefer, Jennie W. Wenger, et al. This research was sponsored by United States Special Operations Command (USSOCOM) and conducted within the Forces and Resources Policy Center of the RAND National Defense Research Institute, a federally funded research and development center sponsored by the Office of the Secretary of Defense, the Joint Staff, the Unified Combatant Commands, the Navy, the Marine Corps, the defense agencies, and the defense Intelligence Community. Szayna, Thomas S., Eric V. Larson, Angela O'Mahony, Sean Robson, Agnes Gereben Schaefer, Miriam Matthews, J Michael Polich, Lynsay Ayer, Derek Eaton, William Marcellino, Lisa Kraus, Marek N. Posard, James Syme, Zev Winkelman, Cameron Wright, Megan Zander Cotugno, and William Welser IV, Considerations for Integrating Women into Closed Occupations in U.S. Special Operations Forces. Santa Monica, CA: RAND Corporation, 2016. https://www.rand.org/pubs/research_reports/RR1058.html. Also available in print form.